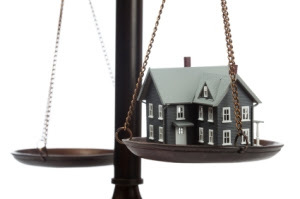 Lexington Houses Blog: Determine if Refinancing Your Lexington Home is Right for You! Determine if Refinancing Your Lexington Home is Right for You! Living in Lexington Massachusetts is the ideal lifestyle for many who enjoy historic character and a small town atmosphere close to the metropolis of Boston. For many of you, you’ve enjoyed living in Lexington for years but have questions about the current Lexington Real Estate market and what this means for your home. If you’ve been considering refinancing your Lexington home in order to cash in on the currently low mortgage rates, there are a few things you’ll want to consider. While this can be a viable option for you, take a the time to do your research and talk with your Lexington Real Estate agent will ensure you make the right decision. Take a look at these five factors in determining if refinancing your Lexington home is the right choice for you! 1. Interest rates- Refinancing right now is great for homeowners whose current rates are above 5.5% and are hoping to save on their monthly mortgage costs. For a Lexington home; you could potentially save a percentage point or more on an outstanding mortgage. 2. Credit score and income- Most banks in today’s market will require you to have a minimum credit score of 620 in order to refinance. You will also need to prove that your household finances have been stable. If unemployment or other issues have come up that have decreased your finances significantly; you’ll find it hard to refinance. 3. Costs- Refinancing your home will cost you typically 2% of the new loan amount. This includes application, appraisal and inspection fees. Included within refinancing costs is the new escrow account you’ll need to fund. The lender will set up this account for home-insurance and property-tax payments from which they’ll draw annually. Want to avoid this fee? Use the same lender you used for your initial mortgage. Their only costs are limited to issuing new paperwork, so they’re able to keep costs low and can oftentimes speed up the process. Another option is a good faith estimate. Your Lexington Real Estate agent can help you determine which option would work best for your home. 4. Adjustable-rate mortgages- Determining whether you’d like to go with an adjustable-rate mortgage or a fixed-rate mortgage can be tricky. An ARM can be a good choice for today’s market as you’ll cash in on the current lower rates, but can be unstable in the long run. However, a fixed-rate mortgage ensures that your rates will remain stable and won’t rise if the market changes. 5. Greater pricing disparity- Based on your current credit score, the rates offered for refinancing can vary greatly. Lenders will look at Massachusetts's average loan-to-value ratio and the percentage of homes with negative equity. The higher the percentage of these homes, the higher the rate a borrower will most likely be offered. I hope this helps answer some of the questions you may have concerning refinancing your Lexington home. As an experienced Lexington Real Estate agent, I am always here to answer your questions or help you navigate through the Lexington Real Estate market. Please feel free to contact me at any time with any questions you may have!